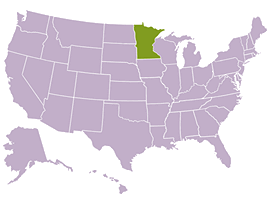 There are a total of 336 local and national banks offering banking services for citizens in Minnesota with 1563 branches in 591 cities. Below you can find the list of top 40 largest banks in Minnesota ranked by number of branches. You can click the logo of a bank to view the list of all offices. The largest banks in Minnesota with most branches are: Wells Fargo Bank with 148 offices, U.S. Bank with 134 offices, TCF Bank with 86 offices, Bremer Bank with 56 offices, Frandsen Bank & Trust with 32 offices, Minnwest Bank with 24 offices and BMO Harris Bank with 22 offices.